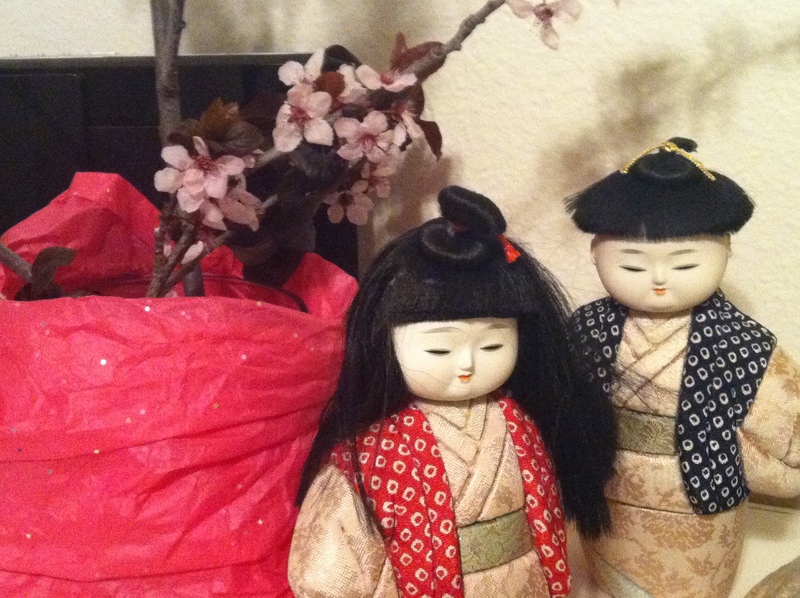 For Girls’ Day (Hinamatsuri) when I was growing up, my mother and I would make a display of dolls we had. 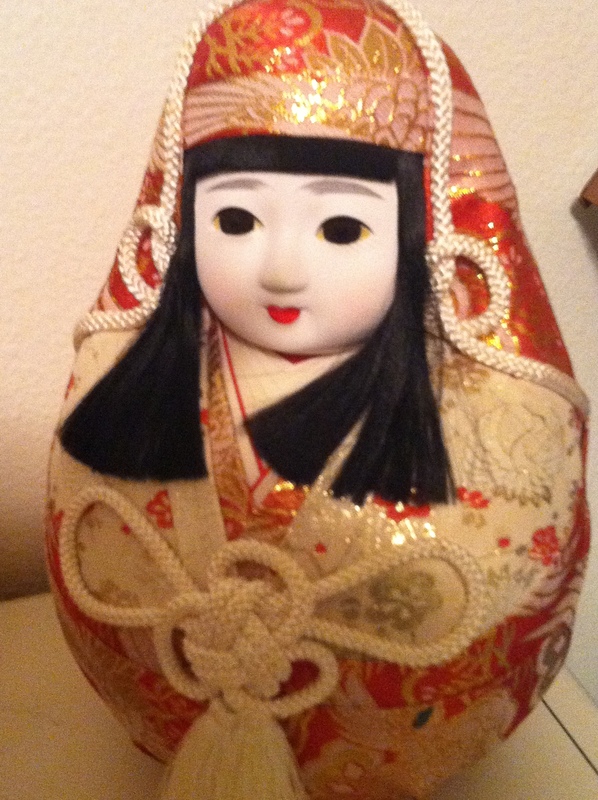 I still don’t have the Emperor/Empress dolls that some people have, but I still do have these Japanese dolls. I like dolls in theory. I don’t like them in home decor. That is, I don’t like looking at dolls all the time. So I have these stored for most of the year and break them out for March 3. I saw these tree branches blooming on a bunch of trees at someone’s house, so I asked the homeowner if i could take a few. She said yes. The pink doll belongs to my oldest daughter. The boy and girl are standing in for the Prince and Princess. 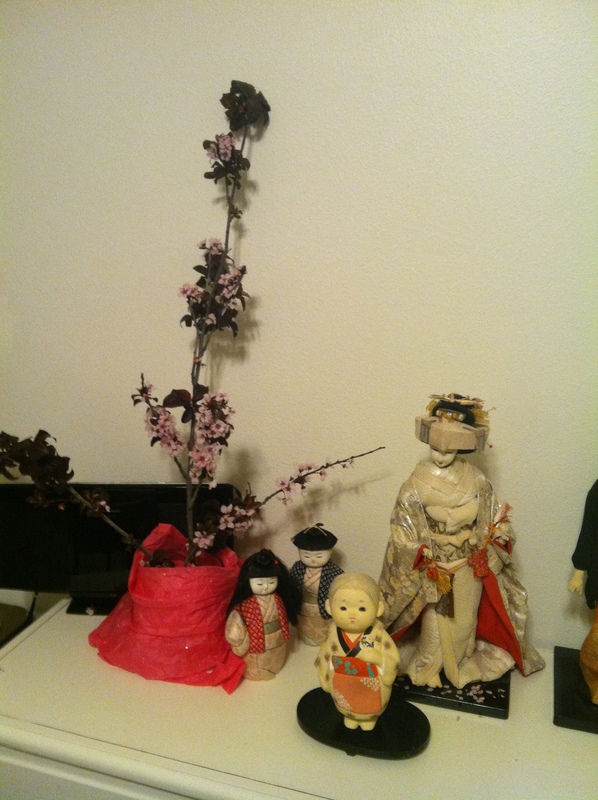 The porcelain doll in the front is another doll I’ve had for as long as I can remember. She doesn’t look particularly royal, but we can’t leave anyone out. This doll below has real human hair. I forget what kind of doll she’s supposed to be. 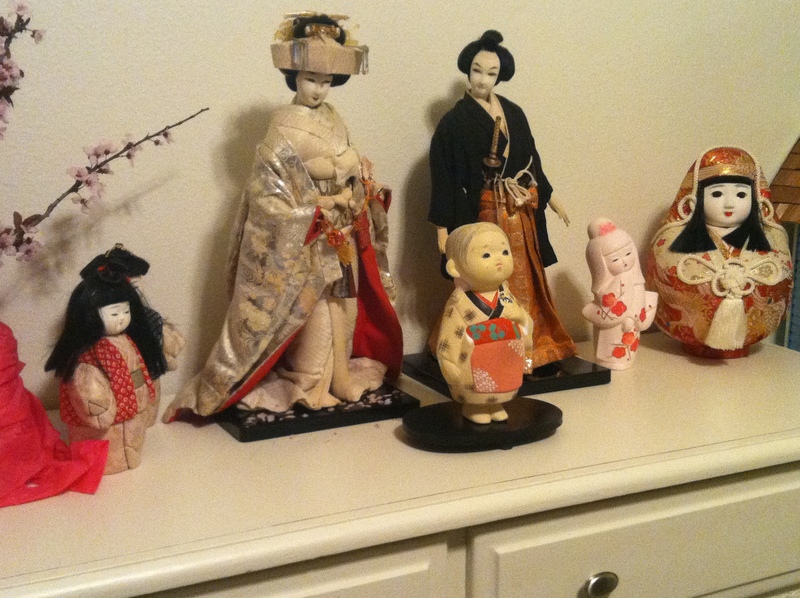 My mother kept the samurai dolls in a glass case on her dresser. The case fell apart, and I never got a new one. I always loved looking at these dolls and wanted desperately to play with them. These dolls are wearing real silks and have real human hair; their skin is silk, their features are handpainted, and their hands work. 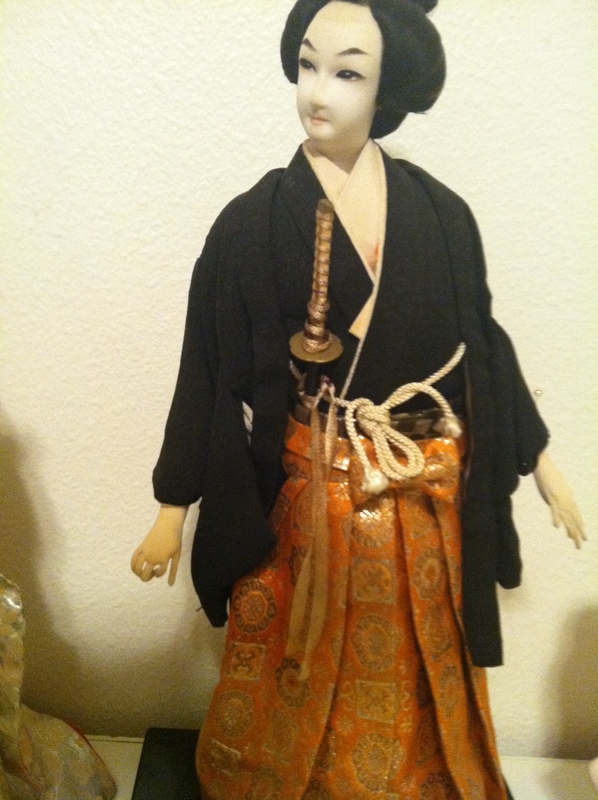 They are very detailed, with a working fan, hair pins, and a hidden dagger for the samurai woman, in her sleeve. 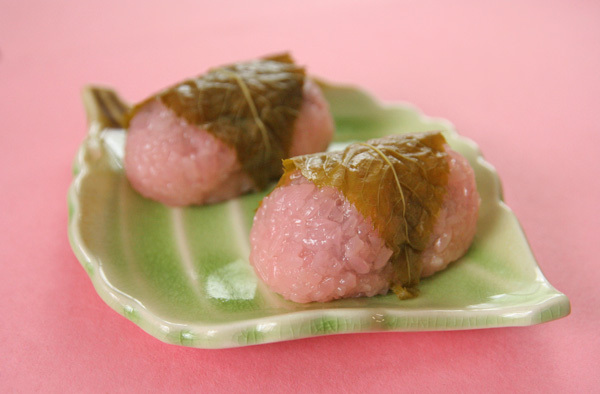 On Girls Day, you can celebrate with traditional pink food, as well as a variety of other delicacies. I didn’t go up to the Japanese market to see if they had this. In fact, I didn’t know it existed, because my mom never made pink food. (Click on the photo to read more about it). 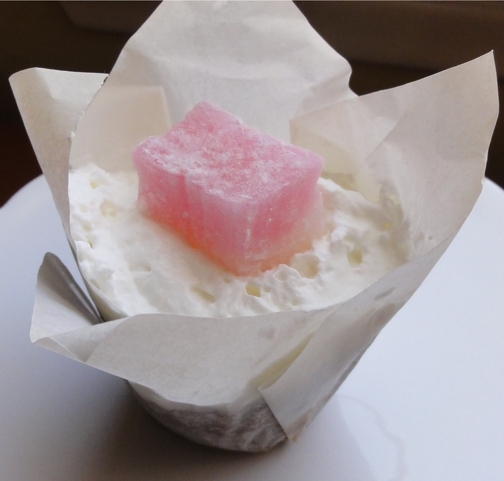 You could always modernize the foods, like justJENN did with her cupcakes topped by a piece of chichi dango. Super cute! Click the photo to get to her site and recipe. In my family, we just put the dolls out. One time, I had a tea party with my little tea set and invited a couple of neighbor girls over, and that was a huge deal to me. I think my mom made little sandwiches for us. If I plan ahead next year, it would be fun for my girls to do that, too. Boys’ Day is May 5. Wikipedia tells me that it was changed to Children’s Day in 1948, but we always called it Boys Day. My brother had a mini metal samurai helmet he displayed for the occasion. It sat on a red and gold satin silk pillow. This year, we bought son a carp flag to fly. 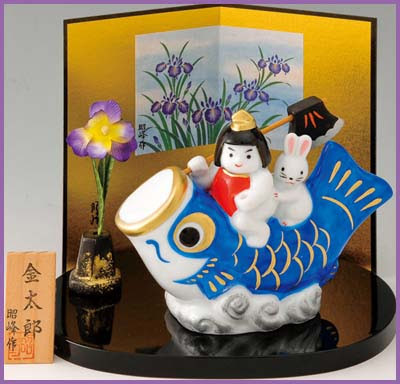 You are also supposed to have a Kintaro doll, which is a boy riding a carp like so. I have never seen a Kintaro doll before. 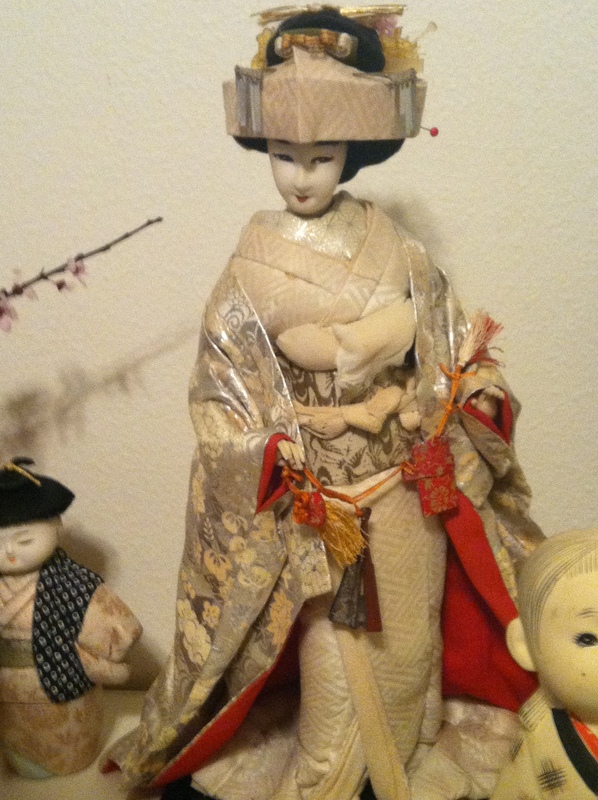 As I told someone at a recent talk, most of what I know about Japanese culture came directly through my mother, so my knowledge is limited (and sometimes I didn’t know if what she did was different than other Japanese in other regions). Click on the photo to read about Boys’ Day decorations and what they signify. The whole site talks about Omamori, Japanese amulets; it also has essays and lists folk art toys from different regions. Very interesting stuff. Sometimes I find exactly what I need, accidentally, from working on this blog! Nice collection! For several years, my mother has held a Girl’s Day lunch, where she shows off her dolls to her friends. I don’t think she bothers making the food pink, though. I thought Kintaro was associated with bears, but he looks good on the koi, too!